Summer is a time of fun, of holidays and of adventure. 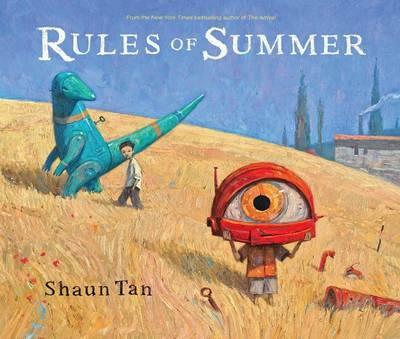 As this book is a Shaun Tan book there isn’t an intricate plot but honestly there doesn’t need to be. Tan’s books have an appeal all of their own which can be attributed to the flexibility of the story told mostly in pictures with limited text, thus leaving a whole lot up to the imagination. I think I’d say the plot revolves around using your imagination to while away the days, having an older brother make up the rules and be the one to save you when the days turn dark. The illustrations are, as always whimsical and amazing, conveying the width and breadth of what can be achieved when you walk away from technology and allow yourself free reign. An amazing book that left me wanting to explore it again.